Neurofibromatosis Therapeutic Acceleration Program (NTAP) partners with key stakeholders in neurofibromatosis type 1 (NF1)-associated plexiform neurofibroma (pNF) research to ensure our efforts are directed to where they can have the greatest impact. We work with an international community of NF1 and non-NF1 researchers, as well as industry and regulatory partners, to challenge assumptions inherent to traditional approaches for this disease and encourage the development of innovative strategies to treat pNFs. NTAP seeks creative partnering options that will advance pNF therapeutic development. For further information about collaborative opportunities at NTAP, please contact us at info@n-tap.org. 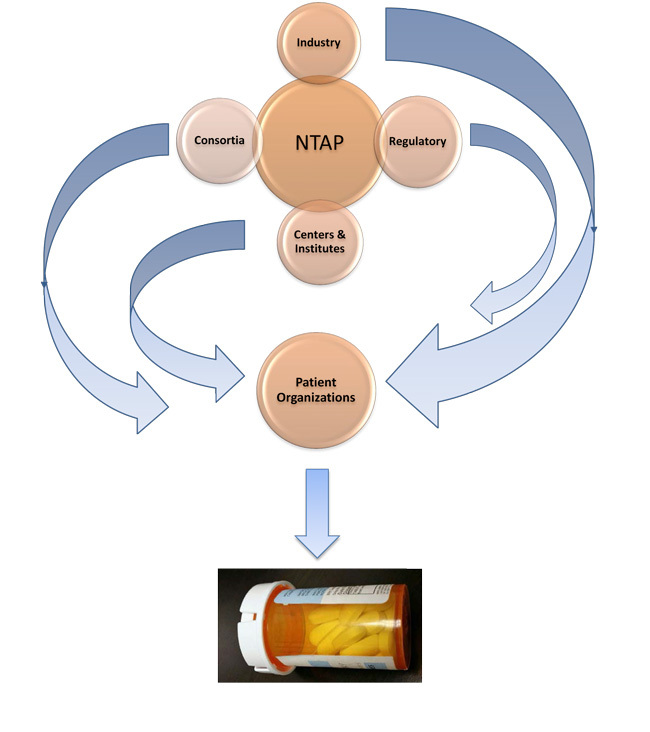 The NTAP model exposes me to the full spectrum of translational science, from basic research to NF drug trials. As a Collins Scholar, I have meaningful and consistent access to leaders in the NF field. The research support provided by NTAP greatly enhances the quality and quantity of our NF research, and places our work in a position of strength for publication and funding.-- Dr. Matthew Steensma, M.D. I was attracted to and am extremely pleased to be an investigator for NTAP because this program is unique. It (1) is focusing specifically on the feature that has the most serious effect for the most NF1 patients (plexiform neurofibroma), (2) is looking to fund approaches that will yield useful data regardless of how “innovative" they are, (3) requires a commitment to collaboration, (4) appreciates the unparalleled complexity of NF1 at all levels, and (5) encourages challenging paradigms when interpreting data or choosing future strategies. Some of these properties would doom a traditional grant application in other mechanisms. -- Margaret (Peggy) Wallace, Ph.D.
We are interested in the development of patient-reported outcome (PRO) measures because assessing clinical benefit is an important aspect of treatment trials for plexiform neurofibromas (PN). However, there are no such measures validated for this population. The NTAP funding provides support for us to develop and validate PROs to assess pain intensity and pain interference specifically in children, adolescents, and adults with NF1 and PN. These measures can then be used as outcome endpoints in NF clinical trials thereby facilitating the approval of effective therapies. -- Pam L. Wolters, Ph.D.